Luke: 16: 19-31 – Is Lazarus in Your House? This passage from the Gospel of St. Luke is a parable about a destitute man named Lazarus and a rich man, who at times is called by the name Dives (the word dives in the Latin Bible refers to a “rich man”). Jesus places Lazarus sitting day after day by the rich man’s front door. Lazarus is sick. He is at Dives’ home hoping to receive a scrap of food from his table. The food never comes. Jesus continues to tell the story which culminates in the death of both men and their subsequent judgment. Lazarus is welcomed into Paradise and is seen talking to Abraham, while Dives is condemned to the flames of Hell hoping for a drop of water to quench his thirst. The parable concludes with Abraham rejecting Dives’ wish that someone from Paradise will inform his relatives of his eternal sentence in an attempt to get them to change their way of life. You see its not just the issue of Dives, as a fellow human being, not providing nourishment and solace to Lazarus. It is the fact that Dives does not even acknowledge Lazarus. He and his servants pass him every day with no perception, no acknowledgement, no understanding, no charity. How many times have we done that to men and women standing at intersections, asking for a scrap that falls from our table. We get uncomfortable at the thought that they are there. Irritated at bad government decisions that pushed them out on the street, supposedly to be helped by the social justice safety nets; nets filled with holes. I saw a woman today holding a sign that said “I need a miracle.” There was no exclamation point or happy face penned next to it. Lazarus may be outside our front door, or, even in the house. Question: are we passing by people in our own family who are in need? The neighbor who lives next door? A member of our parish? Are we passing by Jesus Christ? Lent is the natural time to reflect on how well we remember and assist, in some small way, those around us who are in need. It may be financial help, or it might just be they need someone to talk to. Upon reflection, we may find ourselves missing the mark, even committing sins of omission. Let’s remember that, unlike Dives, we still have time to do something about it. “Meister des Codex Aureus of Echternach” (the Master’s Golden Book of Echternach) – a page from this illuminated Gospel created in the mid 11th century. When seen by the Holy Roman Emperor, Henry III, it stimulated him to commission similar manuscripts from the Abbey of Echternach (Germany). My thanks to Rev. Msgr. Anthony Mancini, Pastor of the Cathedral of St. Peter and Paul, Providence, Rhode Island USA, for stimulating this blog post. Copyright © 2011- 2019 Deacon Paul O. Iacono – All Rights Reserved. Christ in the Wilderness: Lent – the Season of Preparation – Luke 4: 1-2. In the extraordinary painting below, we see Jesus after He was led into the desert wilderness by the Holy Spirit. He is surrounded by rocks and sand. He sits on a boulder, hands in front of Him. His eyes are filled with the knowledge of reality, of passions, power, and pain, ego and emptiness, sin and self aggrandizement. This painting may move us from the awareness that in the desert wilderness Jesus is not only thinking through His ministry, Passion, and death but is also viewing our lives – our ministries, our passions, our death. Let us examine His face. We see the seriousness of the forthcoming temptations; the physical, mental, and the spiritually violent struggle with the devil. It is written plainly upon His emaciated face. We see the irrefutable fact of Jesus’ humanity. We see that He is like unto us, except for sin. This is the face of our Savior; but the victory is not His, yet. His temptations, public ministry, Passion, and death are still to occur. We see a man who knows His Mind. He knows His Body, Soul, and Spirit. He knows His freely accepted duty to accomplish His Father’s will. This is not the face of a defeated man. It is the face of a determined man who is also Lord and Savior. Observe Christ’s clenched hands, gaze deeply into His eyes, and you will see the artist’s portrayal of a Savior that is already, at the beginning of His ministry, aware of the viciousness of the tempter and the burden of our sins. Sins accepted by Him, and through His Passion and death, makes all things new. Jesus had to confront in that desert assault whether or not He was going to be faithful to His mission. The Gospel passage above challenges us with the same questions: are we going to be faithful to the Commandments, to our Baptismal promises, to the mission given us in Confirmation to live and practice the truths that He taught us? Are we going to be faithful to the spiritual power and grace given to us, not just when we feel like it, but even in the most difficult of circumstances? As disciples of Christ we are on a daily basis constantly revolving around the axis of temptation and sin – faith and grace. We understand that temptation, in and of itself, is a test – it is not sin. It is only sin when we willfully place ourselves in its shackles, when we give into its fueled power to overwhelm our body and soul. That power – a deadly power – obtains its animus and energy from the original tempter and liar – Lucifer himself. Hell is real. It is not a mental construct. To say that it doesn’t exist is to call Jesus a liar, and His Passion, death, and Resurrection meaningless. Jesus the Christ lived heroically in the face of Hell’s demons and witnessed to the power of God’s grace. But you say, I am not Jesus Christ, I am a weak man or woman, boy or girl. I say true, we all are; but by virtue of our faithful reception of the Holy Sacraments (Holy Mysteries) of Reconciliation (Penance/Confession) and the Holy Eucharist we have the power of Christ’s grace within us. A power, freely given by God and unmerited by us, to resist and overcome temptation and sin. If we do sin – if we do “miss the mark” – we have a remedy. We follow St. Paul’s advice: pick yourself up, dust yourself off (confess your sins), and confidently continue on your journey. We must do our part in cooperation with God’s love and mercy. The Season of Lent is a time of joyful repentance, prayer, and fasting. The painting above was created and completed in the late 19th century by Ivan Kramskoi. He was a gifted Russian painter, noted portraitist, draughtsman, and teacher. The painting is entitled Christ in the Wilderness. Copyright © 2011- 2019 Deacon Paul O. Iacono All Rights Reserved. Portions of this essay may be used in accordance with correct notation and bibliographical insertion; contact deaconiacono@icloud.com for more information or questions. Today’s post will continue to add to my two previous posts: The Apologists (Defenders of the Faith) – Part 7, and The Apologists – Comparing Icons. The men below are also known as the Ante Nicene Fathers. The word Ante (before) refers to the fact that they defended the Faith during the terrible persecutions of the first three centuries of the Church (the Domitian, Decian, Valerian, and Diocletian persecutions). These persecutions occurred prior to the Council of Nicaea (AD 325). The Council of Nicaea was called by the Emperor Constantine in order for the assembled bishops, and their representatives from throughout the Empire, to discuss, debate, and establish the basic elements of a Creed for the Catholic Church (Eastern and Western Rites). Prior to calling this Council, Constantine had proclaimed the toleration of Christianity throughout the Roman Empire. He accomplished this through the Edict of Milan. This Edict (AD 313) did not mandate that Christianity was the official religion of the Roman Empire, that was to be done by a later Emperor – Theodosius I – in AD 380. The Edict just allowed for Christianity’s toleration as a religion. St. Justin Martyr, (born circa AD 100), an excellent writer, debater and teacher. He defended the Sacraments of the Church, especially the Real Presence of Christ in the Eucharist, the genuineness and inerrancy of the four Gospels, the Trinity, the two natures of Christ, how reason can come to know God, the Sacraments, God’s revelation and inspiration, etc. He also saw some aspects of ancient philosophy as a precursor of the Christian faith, and wrote two powerful defenses of the Faith to the Emperor and the Roman Senate. He was martyred, along with six other Christians, in AD 165. St. Justin Martyr is a very important witness to the developing beliefs of the Catholic Church (Western and Eastern Rites) because he is discussing and describing many of the primary dogmatic and doctrinal beliefs of the Church which would be established over one hundred and fifty years later in the Nicene Creed (AD 325), and clarified and confirmed in the Council of Constantinople in AD 381. A sacred icon of St Justin Martyr, martyred AD 165. He was a powerful teacher, writer, and Defender of the Faith as it was passed down to him from Apostolic Times. St. Melito of Sardis, (died circa AD 185), a scholar who saw the immense value and importance of the Hebrew Scriptures and how they contributed to the Christian Scriptures; in AD 175, wrote a defense of the Christian Faith which was published in a letter to Emperor Marcus Aurelius. He was also instrumental in teaching and explaining the two natures of Jesus Christ: one divine and one human. His explanations kept the two natures separate, and teaches that Jesus was truly human and truly divine. He fought the Christological heresies that were developing at this time (especially Marcion’s heresy concerning Jesus’ physical body). St. Hippolytus of Rome, (died circa AD 236) in his book – The Apostolic Tradition – sets down a manual of liturgical prayers and tradition and it refers to an order of the Holy Mass. The current Eucharistic Prayer 2, in the Sacramentary (liturgical missal) used in the Western Rite, is attributed to the central prayer found in his The Apostolic Tradition. Origen of Alexandria, (died AD 254), a genius in speculative theology who wrote extensively on subjects such as the belief in One God, the Three Persons of the Holy Trinity, the Holy Sacraments of the Church, etc. He was a voluminous writer and died a martyr. St. Cyprian of Carthage, (born circa AD 200); he was a student of Tertullian. St. Cyprian was a tireless theologian and worker for unity within the Church, and through his patient and good-hearted efforts solved many controversies and squabbles. As a bishop he proclaimed that he was willing to welcome any pagan or heretic into the Church who confessed their sins, were willing to do penance, and were baptized. His defense and scholarship on the Holy Sacraments is considered important. He died a martyr in AD 258. In my next post, Part 8, I will briefly discuss the Golden Era of the Apostolic Fathers (AD 325 – 430) whose blossoming occurred after the Council of Nicaea; also in that post, I will discuss and list the Post Nicene Fathers (circa AD 430 – AD 800). In Part 9, I will briefly list some of the important Church Councils of the 5th century and how they affected the Church’s sacred art. Please review the bibliography page (found at the post of February 8, 2019). It provides the sources that I have been using in this specific sequence of posts on Church history. Thanks for visiting with me. On this Ash Wednesday allow me to offer you my best wishes for a productive and prayerful Lenten Season. Can you pick out the seven similarities between the two sacred icons of Church Apologists that are below? The differences? St. Irenaeus of Lyons (died circa 201). Famous for his manuscripts Against Heresies. He used 21 out of the 27 books of the New Testament in his writings and sermons. St. Clement of Alexandria, Egypt. Born AD 150, died AD 215. Famous for his manuscripts on the Blessed Mother Mary as the New Eve, the significance of the Holy Eucharist, and other catechetical works. Let’s take a look at the two icons above. Both are correct in the way they are represented. From an artistic and symbolic point-of-view there are distinct similarities. They have seven similarities: the beard (signifying experience, authority, and that the saint is an elder); a large, high forehead (signifying Christian wisdom as influenced by the Holy Spirit which is visualized through the saint’s works and knowledge); the Holy Cross upon the priest’s stole (it appears as a garment that circles the neck and extends down the torso which signifies Christ’s Redemptive suffering and the saint’s willingness to give witness and suffer for Christ); the presence of the book of the Gospels (the revealed truth of God through His Son, Jesus Christ); the script of the saint’s name at the top or side of the icon; and the halo circling the head (representing the sanctity of the saint). There are two absolutely necessary and critical indicators that designate a valid orthodox icon or sacred image: the artist must distinguish the person represented with his or her name, and, the icon must give witness to their life and ministry to the Church. How does the sacred artist accomplish this requirement? The artist needs to follow this rule: if the person(s) represented is/are a cleric (deacon, priest, or bishop) they need to be clothed with the proper vestments of their rank, and prototypical appearance. If their physical appearance is known (such as St. Therese of Lisieux or St. Maximillian Kolbe) they must be represented in a correct and accurate manner. The artist must also represent some aspect that distinguishes their ministry, such as the Book of the Gospels. This is also true if the person(s) is/are a martyr, holy man or woman, monk, etc. This is, again, necessary since the faithful need to know the name of the saint so they “may honor, revere, and give salutation to them and aspire after them” (from The Seventh Ecumenical Council: Concerning the Holy Icons). The differences between these two icons of Church Fathers are primarily in the icons’ age, the colors used by each sacred artist, the adornment of the garments and book of the Gospels, and whether or not the halo, and area surrounding the figure is gilded. Many of these differences reflect the specific culture the sacred artist lived in, the time period of the artist’s life, and the artistic resources (such as pigments) that were available. Historically, violent disputes broke out between icon supporters and icon destroyers. The situation came to a head in October AD 787, when the 2nd Council of Nicaea, among other issues, reinstated the validity and necessity of the veneration of holy icons/images. It specifically quoted: Genesis 31: 34; Exodus 25: 19 ff; Numbers 7: 89; and Hebrews 9: 5 ff;) in support of their position. The Council Fathers especially cited various passages of the Fathers of the Church which proved to be critical in the authority of their proclamation. They were also heavily influenced by the writings of St. John Damascene. The Council documents were signed by the Byzantine Empress Irene, as many as (or more than) 300 bishops, and two legates of the Pope. Sacred icons, sacred images, statues, etc are never worshipped. Worship belongs to God alone as represented in the Holy Trinity. The holy personalities represented give witness to unity with Christ and point us in the truthful – orthodox – direction. We venerate sacred statues, icons, and sacred images – never worship them. (See the documents of the 7th Ecumenical Council of the Church (AD 787) to reiterate this position). Church tradition also warns the sacred artist who paints sacred icons to guard against unnecessary innovations and artistic flourishes. Please remember that in my blog I make a distinction between sacred icons and sacred images. My articles on this subject can be found in the Category window found on the top, right hand side, of my Home Page. You may find that my article A Canon for Catholic Sacred Artists, found in the Category: Sacred Artists, in the month April, 2018 (once there, scroll down to April 2, 2018 and you’ll find the article). That article has a short section in the Notes following the ten elements of my suggested “Canon” that express my opinion on the differences between sacred icons and sacred images. Thanks for visiting with me. My best wishes for a relaxing weekend. Copyright © 2011- 2019 Deacon Paul O. Iacono All Rights Reserved. Permission to reprint must be obtained from the author in writing. Students may quote small sections of the article as long as the proper credit and notation is given. Thank you. Deacon Paul Iacono, at deaconiacono@icloud.com. A Challenge: Are you as a Christian artist willing to internalize the message of the saint, scene, or Scripture passage you are artistically representing, and then, correctly portray it according to Church tradition? Sacred artists must have more than just an awarenesses of Jesus, His Mother, angels and saints because their witness provides us with the foundation stones of our Faith. Sacred artists must be more than artists who propose “Art for art’s sake”. If we do this what do we become? We become evangelists to the truth, goodness, and beauty of God, through the witness of Jesus Christ and the holy men and women who called Him the Son of God. In the years immediately following St. Polycarp’s martyrdom (died, circa AD 155, and remembered yesterday, February 22nd, in the Roman Breviary and Missal) a group of eight Western and Eastern Rite scholars and clerics arose known as the Apologists (Defenders of the Faith). The Apologists defended the beliefs and traditions of the Church that passed down to them, in an uninterrupted line, directly from the Apostles and Apostolic Fathers. This occurred during the years of continued persecution – AD 155 through AD 313. The works and ministerial witness of the Apologists provide evidence for the continuity of beliefs and dogmas in the Early Christian Church. It is through this historic development, and the literary and physical witness of their efforts, that we have religious and cultural traditions which dramatically affected the growth of sacred art. These clerics and scholars desired to unify and establish the beliefs of the Western and Eastern Rites of the Church. Church artists, and the later group of clerics and scholars known as the Nicene Fathers (who I will cover in later posts), were heavily influenced by their efforts. These two groups, the Ante Nicene and Nicene Fathers all desired to make concrete and visible the correct teaching – the orthodoxy – of the Church. These efforts ultimately produced artistic representations of these early spiritual heroes – a visible sign of the truths of the Gospels being preached – and in some cases, their witness in blood. The Apologists have also been termed The Ante (Before) Nicene Fathers because they lived and died prior to the establishment of the Creed of the Catholic Faith, ultimately to be known as the Nicene Creed. Let us briefly review two of the Apologists: St. Irenaeus of Lyons, and St. Clement of Alexandria. In a subsequent post you will have the opportunity to read three or four sentence descriptions of the contributions of the other six Apologists. St. Irenaeus of Lyons was born in AD 130 and died circa AD 202. He speaks of the four Gospels as being the “Four Pillars of the Church,” and was in a position to know that since he heard St. Polycarp (a friend and disciple of the Apostle John) preach. He was steadfast in supporting the belief in Apostolic Tradition. He taught that the true Faith is the one imparted by the bishops of the Church who, in turn, received it directly in an uninterrupted set of teachings from the Apostles. St. Irenaeus was tenacious in his fight against heterodoxy, specifically the Gnostic heresy. St. Irenaeus understood the value of St. Polycarp’s New Testament scholarship and his emphasis on the Church’s sacred Tradition. 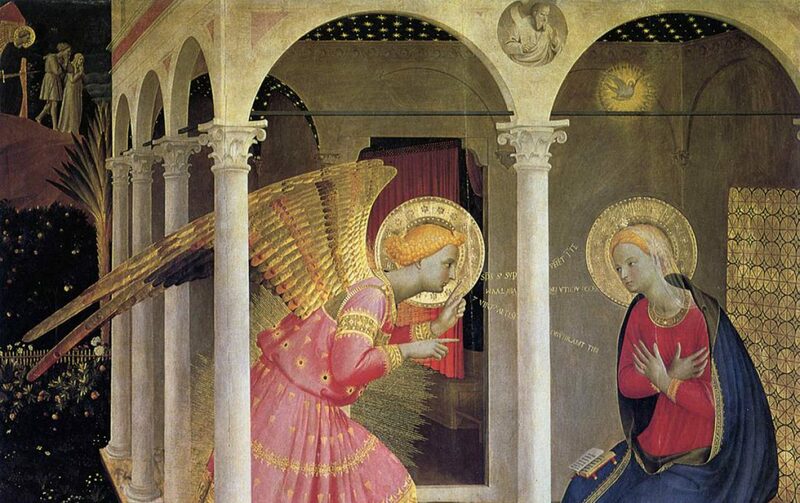 He spoke with authority on Mary as the New Eve, and the Holy Eucharist. St. Irenaeus barely escaped death during the persecution of Emperor Marcus Aurelius, however during the round-up approximately 50 other Christians had the joy of earning the holy crown of martyrdom. He may have eventually died a martyr, yet, there is not sufficient evidence to support it. St. Irenaeus of Lyons (died circa 202). Famous for his manuscripts Against Heresies. He used 21 out of the 27 books of the New Testament in his writings and sermons. Another critical Apologist is St. Clement of Alexandria (born circa AD 150, died circa 215). He led a major catechetical school in Alexandria, Egypt and agreed with St. Irenaeus that the truth and knowledge of the holy Gospels proceed through the bishops and are for the population as a whole and not for any secret society (thus, he fought against the Gnostic heresy). He taught that in order to understand the truths of the Gospels you must have faith in unison with reason. He is also known for three major catechetical works which are still in existence. These works were meant to accompany catechumens and those baptized into the Christian faith as an aid to their spiritual development. He was not martyred. St. Clement of Alexandria – an Apologist of the Early Church – as represented by an early iconographer of the Eastern Rite of the Catholic Church. Thanks for stopping by the Institute. I hope you have a relaxing weekend. Copyright © 2011- 2019 Deacon Paul O. Iacono All Rights Reserved. Permission to reprint must be obtained from the author in writing. Students may quote small sections of the article as long as the proper credit and notation is given. Thank you. Permission to copy these posts must be obtained from Deacon Paul Iacono at deaconiacono@icloud.com. This post and an upcoming posts will very briefly explain some of the major figures in the Church history during the period of AD 65 through AD 155 – the period known as the age of the Apostolic Fathers. Ultimately, Parts 7 through 9 will cover some of the key leaders within the three subsequent periods of the early Church (circa AD 155 to circa AD 800). I am presenting this material because it is critical for anyone studying and painting sacred images and sacred icons to be aware of the theological understanding of the scholars and bishops in the Church’s early history. Sacred art developed in tandem with the approved theology of the Church. I will ultimately show you how this is expressed, specifically how our Blessed Mother Mary is artistically portrayed in Part Nine and subsequent posts. After Jesus Ascension to Heaven the Apostolic Fathers continued the mission of Jesus and His Apostles to shepherd the early Church. The term “Father” refers to the early leaders of the Church who remained faithful to the Apostolic faith and traditions and brought the early Church out of “diapers” into “young adulthood.” These men carried on the spiritual beliefs and religious traditions of the Apostles and, in some cases, directly knew the Apostles (for example, both St. Ignatius of Antioch and St. Polycarp were disciples of St. John the Apostle, and St. Peter consecrated St. Clement of Rome a bishop). The Apostolic Fathers lived and died between the years AD 65 through AD 155. Their writings began to be circulated around the year AD 95. Apostolic Fathers that I will not cover in this post are Marcion, who was an eye-witness to the martyrdom of St. Polycarp and wrote an account of it and the anonymous writers of important documents: (The Shepherd of Hermas – this document and the Apocalypse of Peter were eventually removed from the canonical collections of Christian writings), The Didache, The Epistle to Diognetus, and The Epistle of Barnabas. Many scholars believe that the four Gospels: Matthew, Mark, Luke, and John, and the Epistles: of Paul, Peter, James, Jude, and John were all written before the year AD 100. Yet it took approximately another four hundred years for the dogmas, doctrines, writings and the Church approved Gospels/Epistles to be studied, discussed, codified, and accepted or eliminated by the bishops of the Catholic Church (Eastern and Western Rites). Concomitantly, the sacred art of the early Church was affected by and developed within these cultural and spiritual currents. To exemplify this I will definitely present images of these developments, as they apply to Our Blessed Mother Mary, in upcoming posts. The Apostolic Fathers confronted numerous controversies and heresies. For example, Pope St. Clement of Rome (martyred in AD 99 or 101) addressed the question of the authority of the Bishop of Rome and clerical leadership (see his very important Letter to the Church at Corinth written in the first century). The Emperor Trajan (reigned AD 98 – 117) had him martyred by being thrown into the sea with an anchor around his neck. While traveling to Rome to be martyred, the bishop St. Ignatius of Antioch wrote significant letters to various churches in Asia Minor on important theological issues. He promoted the structure of clerical hierarchy (deacons, priests, and bishops). Adhering to Apostolic Tradition, Ignatius promoted belief in the Real Presence of Jesus Christ in the Holy Eucharist (which was achieved by a validly ordained male priest through the Scriptural words of Consecration within the liturgical structure of the Holy Mass). St. Ignatius of Antioch is also the first bishop to use the word “catholic” (universal) to describe the first Christian Church communities. He was martyred in Rome’s Circus Maximus by being savaged by lions. His martyrdom occurred in AD 107 – 108. The last Apostolic Father that I will briefly discuss in this post is the bishop St. Polycarp of Smyrna (a city in Asia Minor – currently in Turkey). Polycarp’s name, in Greek, means “much fruit.” St. Polycarp was a friend and disciple of St. John the Apostle; and he was known as a New Testament scholar, and author of an important letter to a Church community in Greece. St. Polycarp was tireless in his fight against the Marcionite heresy. That heresy grew out of a heresy accepted by some interpreters of the Hebrew Scriptures who claimed that there were “two Gods” – one good and one bad. Polycarp was martyred in AD 155 or 156. The story of his martyrdom relates the attempted burning of this good bishop at the stake, but when the fire had no affect at all his frustrated executioners pulled him out and did the deed with a dagger! Martyrdom of the bishop St. Polycarp (not a contemporary sacred icon; possibly 15th century).Notice that it remains loyal to the story of his witness and martyrdom. The “Great Schism” between the Roman Catholic and Greek Catholic (Orthodox) Rites did not occur until AD 1056; and the Protestant movement did not begin until the middle of the 15th century. The Protestant Revolt came to full force in the early 16th century and continued through to the 17th century. The Protestant sects viewed sacred art as unnecessary for the faithful since they needed to concentrate only on Sacred Scripture (Sola Scriptura). Prior to AD 1056 all Christians were “Catholics” from different cultural areas of Europe, Africa, and the Near East. Each one of these Eastern and Western Rite communities applied their own interpretation to appropriate liturgical music, sacred art, liturgical disciplines to their regional church environments. Examples of this interpretation are celibacy for male deacons and priests, and liturgical use of cultural specific language. This was achieved by remaining faithful to approved Catholic Creeds (Nicene and Apostles), Holy Scripture, clerical/hierarchical organization, etc. A unified set of Church dogmas and doctrines developed out of this 800 year history. Thank you for stopping by and reading this brief post. My next post will briefly review the next group of “Fathers of the Church” – the Apologists. My best wishes for a restful weekend; and if you are in the United Stats an enjoyable Super Bowl football game! Copyright © 2011- 2019 Deacon Paul O. Iacono All Rights Reserved. Permission to reprint must be obtained from the author in writing. Students may quote small sections of the article as long as the proper credit and notation is given. Thank you. Deacon Paul Iacono, deaconiacono@icloud.com. In the past four posts I briefly reviewed the following topics: Part 1: What is Art, Part 2: Roman Catholic Sacred Art – Categories, Part 3: Roman Catholic Sacred Art – Painting Schematic, and Part 4: Roman Catholic Sacred Art – Three Major and Minor Stages. Today in Part 5, I would like to provide you with a brief review of a major, historically based, theological theme that directly impacts the creation of Roman Catholic and Orthodox Greek/Russian sacred art. It is a belief of all devout Christians that Jesus, the Son of God and through the power of the Holy Spirit, was born of the Virgin Mary. His ministry to the Israeli people was the fulfillment of Hebrew prophecy. At the end of His ministry He was unjustly tried by the Romans, condemned to death, tortured, crucified, and died in reparation for our sins. Three days after His death, through the power of the Father and the Holy Spirit, He rose from the dead and was seen and interacted with the twelve Apostles and hundreds of His disciples. Before His ascent to Heaven the Apostles are told by Jesus to “Go therefore, and make disciples of all nations, baptizing them in the name of the Father, and the Son, and the Holy Spirit, teaching them to observe all that I have commanded you; and behold, I am with you always, to the close of the age” (Gospel of Matthew, chapter 28: vs. 19-20). St. Paul explains to us in his letter to the Colossians (1:15) that Jesus Christ is the image, the icon (eikon) of the invisible, all powerful, God. Our foundation from the Hebrew and Christian Scriptures explains that God communicates with us through historic events, His prophets, and His Son Jesus (“God is With Us” – Emmanuel). The Holy Trinity – Father, Son, and Holy Spirit, communicate among themselves, too. The Father communicates with His creation through His incarnated Son. The Father discussed His plan for our eternal salvation, with His Son, and the Son – Jesus, the Christ, agreed to both the Father’s plan for our Redemption and His Incarnation into human history. He also agreed to humbly obey His Father’s will. Thus, through His Incarnation, Jesus expresses his two natures: human and divine. He does this while “hiding” the full majesty of His divinity (except for His Transfiguration and Resurrection). The full ramifications of the Incarnation of Jesus is one of the great mysteries of our Faith. It demands of us humility, faith, and loving obedience to God’s revealed teachings. The Incarnation of Jesus Christ changed the Universe. God became flesh, thus, all matter is good. Nature’s matter – its water, mineral, plant, and animal life – and its living beings – must be enjoyed and respected in obedience to God’s Laws. Thus, we have our first theological theme: God the Father has communicated His love and laws to us. He has achieved this through His revealed word in the Scriptures, and the ministry, death, and resurrection of His Son, Jesus, the Christ. Our Redemption by Jesus has made it possible for the Holy Spirit – the Sanctifier – to express the love of the Holy Trinity to us through the Sanctifying Grace of the Seven Holy Sacraments. Through theologically based sacred art these truths come alive. We are able to experience the life of our Redeemer and the historic life of the One, Holy, Catholic, and Apostolic Faith. This is all made visible to us through the painting, sculpture, music, drama, literature, poetry, and architecture of two thousand years of gifted artists. Thanks for visiting with me. My best wishes for a great weekend!